As more boards move to conducting meetings supported by tablets, adopting a Board Portal is an intuitive step. I suspect that in a few years, organizations that don’t communicate electronically with their boards will be nearly as rare as organizations without email today. In my mind, the question isn’t why the shift to using board portals, but why more organizations aren’t using their intranets to do this. For most organizations, even those in highly-regulated industries like healthcare, the intranet is an optimal candidate for a location to publish board communication. Simple security configuration allows restricted access to those authorized to view it while board members are allowed additional insight into general internal communication. Considering strong trends in intranets to move from the day-to-day operational tasks like printing HR forms toward collaboration, the intranet seems an obvious choice and a workspace that already exists for many organizations. 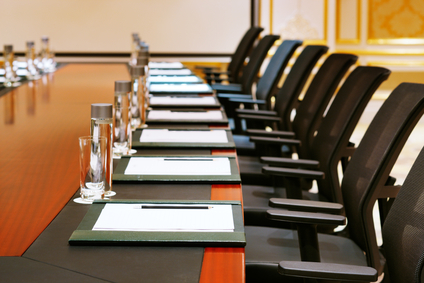 So, I’m curious–how does your organization handle board communication? Is it still manual, via a dedicated board portal, or via the intranet? Beyond that, why do you think your organization has opted to communicate with the board in the way it does? To see a few real-world examples of a Board Portal via the intranet, watch our recorded demo. Enjoy!